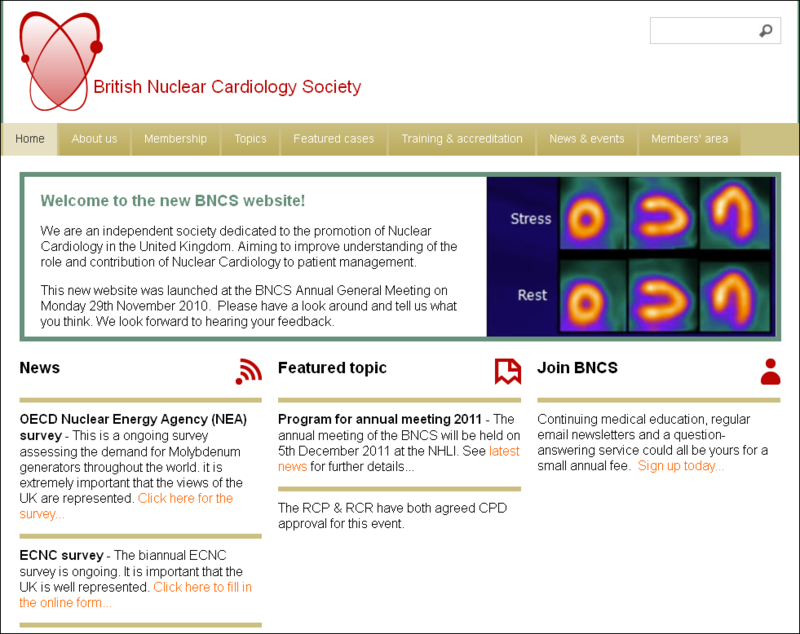 The British Nuclear Cardiology Society is dedicated to the promotion of Nuclear Cardiology in the United Kingdom and aims to improve understanding of the role and contribution of Nuclear Cardiology to patient management. Minervation redesigned this fairly standard website in late 2010, making heavy use of the improved image gallery feature in their CMS. It also includes a members area with restricted access.